Ten The Hobbit: An Unexpected Journey Second Trailer Photos! Earlier today, we showed you a new photo from The Hobbit: An Unexpected Journey trailer that debuts tomorrow morning. Warner Bros. is keeping the momentum rolling for J.R.R. Tolkien Week by debuting 10 more photos from director Peter Jackson's highly-anticipated adaptation. 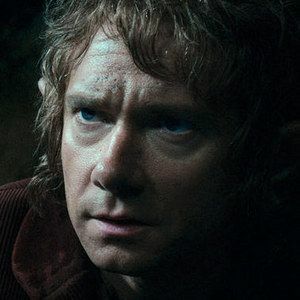 Take a look at these shots featuring Bilbo Baggins (Martin Freeman), Gandalf (Ian McKellen), Gollum (Andy Serkis), Elrond (Hugo Weaving), and Thorin Oakenshield (Richard Armitage).